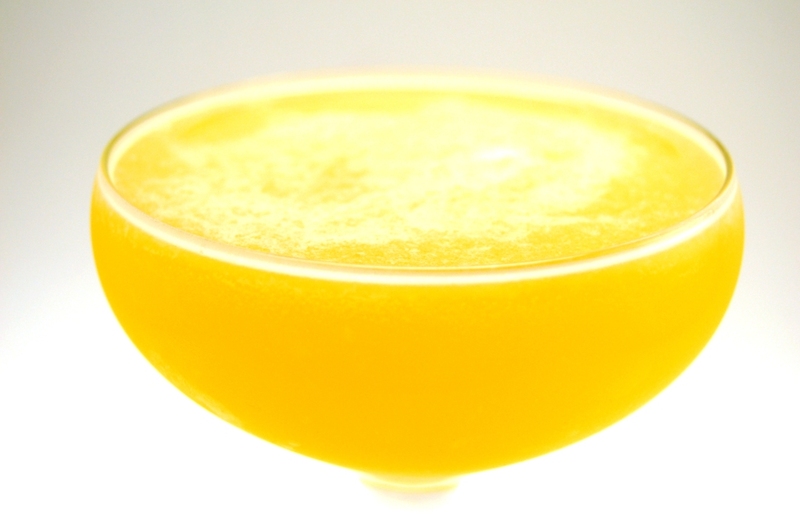 The very fact that any mixologist -- a term I use here in its broadest scope, as one who has mixed at least two things together on at least one occasion in his/her life -- can name a cocktail creation absolutely anything he or she wants is really quite mind-blowing to me. I mean, when you have a baby, you can name that baby any name you want, but it still has to be a name... unless, I suppose, you are an Oscar-winning actress or a world-famous lip-syncher/plastic surgery recipient or that man in Egypt who, post-uprising, bestowed upon his daughter the moniker of Facebook. The point is, given how wide-open the field is, I think I overthink my cocktail naming. What to call a cocktail needn't necessarily follow a traceable logic or make sense to anyone other than you, and really, it doesn't need to make sense to you, either. It doesn't need to mean something or say anything more than these words are what you say when you want this drink. It just needs a name. I chose to name this cocktail the Spendthrifty for three reasons: One, my mother-in-law, who is an accountant, was over at our place working on our taxes when I made this drink up. 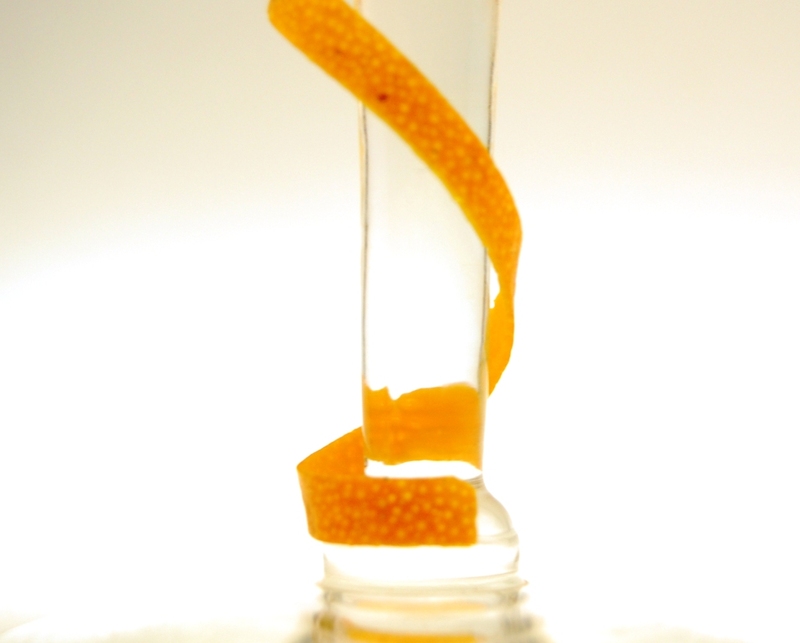 Two, the drink's ingredients include our recently homemade, orange-infused gin (DIY=save $). Three, phonetically speaking, "spendthrifty" sounds springlike to me -- you have to smile to say it-- which is what I think of when I think of a botanical gin made citrusy. 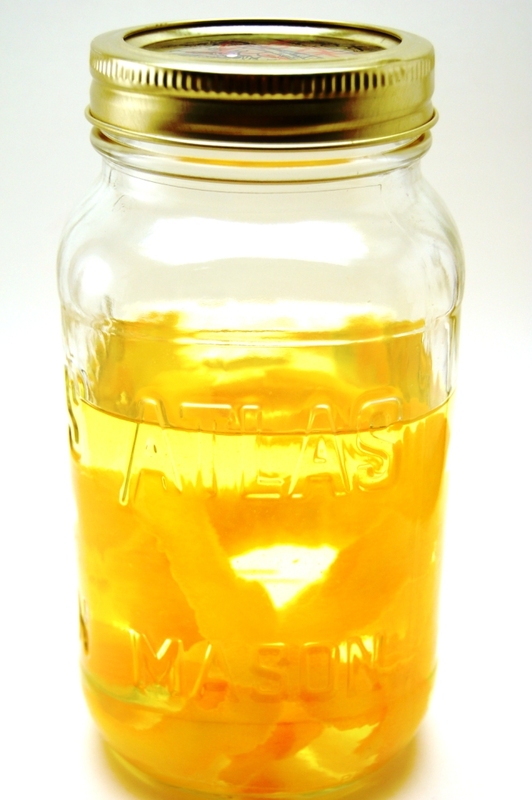 We made the orange-infused gin by adding the peel of one navel orange to a pint of London dry gin (this brand) and storing it in an airtight Mason jar in a closet for about ten days. It's been by far the easiest, most successful of our home infusions, and I dare say it's downright foolproof. My husband, my mother-in-law and myself all smiled like idiots after taking a sip of the Spendthrifty. It's spend-nifty! Combine all ingredients in an ice-filled shaker. Shake and strain into cocktail glass.